Custom bedroom furniture and bedding is one of life's most justifiable luxuries; after all, think of how much time you spend here! 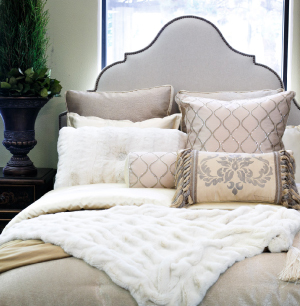 Exquisitely-soft layers of texture will beckon you back to bed - this is what dreams are literally made of! in a variety of decor aesthetics. 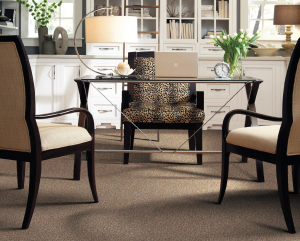 Tigressa "Cherish" is a carpet so soft, so smooth, so beautiful, you'll cherish it for years to come. Utilizing an innovative yarn engineering system with advanced color technology, the rich nature-inspired hues of Tigressa Cherish will not fade over time. Plus, as a Green Select, Cradle-to-cradle product, Tigressa Cherish nylon is crafted from recycled resources and can be renewed in the future as well. designdiva: Oh, I have this! It's so soft! I read that it has fibers that are 75-percent finer than current soft-carpet standards. That's why it's so luxurious, plush and soft. 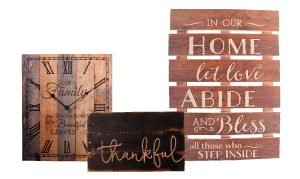 Show your patriotism subtly all year round by displaying made-in-the-USA wall art crafted with reclaimed wood and inspiring messages. Decoratingmommy: These would look amazing in our entryway! 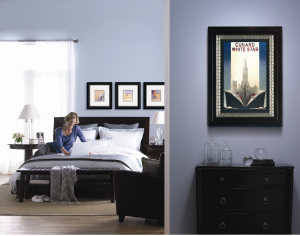 Sure, you can get a black frame almost anywhere, but will it be high quality, made with materials that will protect and preserve your memories? Will the matting be the perfect color and dimension to best show off your favorite artwork or pictures? Prints pop with this classic aesthetic, but they also fade and curl when in the wrong frame. Go with the pros at FASTFRAME when results matter. Decorateit: FASTFRAME frames everything for me! I really appreciate their expansive selection of frames and mats, but more so, their professionalism and the quality of work. I wouldn't trust my pricey, time-consuming needlepoint projects to anyone else! Santa may not have put it in your stocking, but you definitely should consider putting it on your wall! Coal-colored paint is a top 2017 trend, especially when jeweled undertones - think purples, blues and reds - are present. 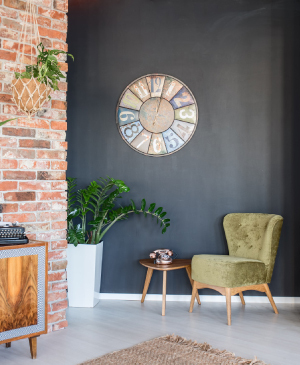 Like all darker paint shades, this one can be tough to apply perfectly on your own. We suggest leaving that to the pros like Magic Maintenance Inc. Painting. Decoratingmommy: I am infatuated with this accent color! It works with modern, rustic, classic aesthetics and more, plus it's a neutral without being "just another boring neutral!" The ultimate new trend in home design is creating the perfect dream bathroom. 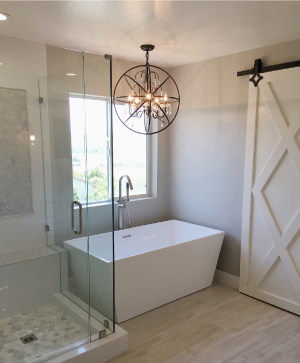 At Rebecca Rollins Interiors (RRI), they have seen their bathroom redesign business skyrocket this year because people are realizing that their full-service design experts and meticulous, professional contractors are not only affordable but also painless. "No drama" is always the best option! Personal consultations are available. decoratingdiva: You can be relaxing in your own perfect bathroom similar to this gorgeous, recently-completed RRI project in no time - and for far less than you imagine. From new flooring, shower tiles and unique fixtures to free-standing custom bath tubs, this new trend is here to stay for a long time. It's time to learn how to layer! 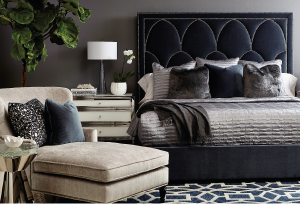 Check out the nailheads, faux fur, chenille, glass, mix of shiny and matte, metal accents and more here; the layered mix of textures makes this bedroom rock! 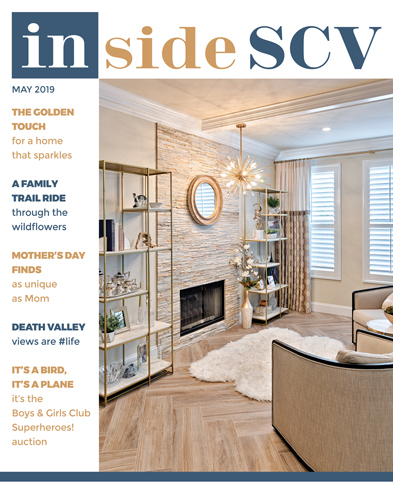 MIX by RJI is ready to show you how to layer - and to customize your space. Give them a ring to schedule your consultation. Decoratingdiva: Metal is showing up everywhere right now. I can't get enough! 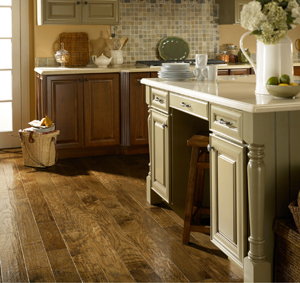 There's no warmer, more welcoming flooring choice than handscraped hardwood. These floors exude personality and comfort while also functioning beautifully, becoming even more gorgeous with age. Select quality wood for a look that lasts. Decorateit: I was worried about the maintenance of hardwood, but I shouldn't have been! There are so many natural differentiations in the wood, minor scratches and marks blend right in and look like they've been there the whole time. I love my hardwood floor! 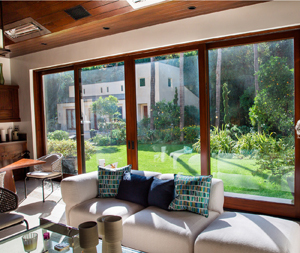 AG Millworks multi-slide patio doors are your gateway to indoor-outdoor living. Made in the USA, these doors are energy efficient and fully customizable. Nothing is more beautiful than big sliding doors that transition smoothly past each other and stack neatly at the edge of an opening - or disappear completely into wall pockets. Exquisite wood surfaces on the interior provide warm, luxurious design details. Thick extruded aluminum exteriors with durable baked-on Kynar paint in any imaginable color completes the picture. Decoratingdiva: I love how Mike's Windows & Doors customizes everything! They'll even make your doors with different wood species on the inside and outside surfaces! This DIY message board was created with Iron Orchid Designs DIY line using Vintage Art Decor Moulds, Decor Image Transfers from IOD, chalkboard paint and other DIY paint and sealers to achieve the final look. The transfers, moulds and stamps are an awesome investment; they can be used on any surface, including wood and glass - even fabric. DIYmommy: I love this! I learned how to use these products in Barn & Charm's workshop. I attend them frequently because they give me the confidence and skills to create custom, gorgeous pieces just like this! 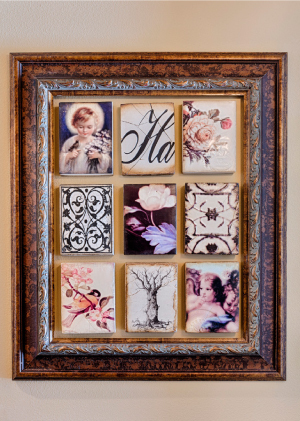 Sid Dickens Memory Blocks aren't just coveted and collectible; they're a wonderful way to add color, dimension, texture and timelessness to your space. Designdiva: I love grouping Sid Dickens Memory Blocks together to make an even bigger impression. There are really cool grid ideas for these tiles on Pinterest! Surfaces SCV Design Center is holding a Slab Liquidation Sale right now - and you need to go. Billed as the, "You'll never see so many slabs at these liquidation prices again," it's worth your time to get there soon. After you check out the slabs, browse the tiles. 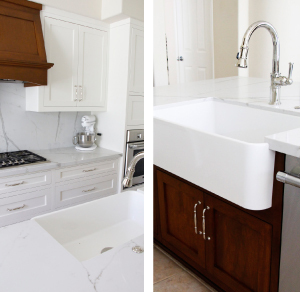 You'll want a new tile backsplash to coordinate with the new addition! Meetmeinthekitchen: Not sure what to do with all this selection? Jen, the owner, offers free professional design services - and she's fabulous at it! 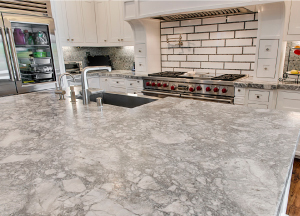 Marble-look counter tops and apron-front sinks are still leading the 2017 kitchen trends. Brand new to the market: This sharp-looking Blanco Ikon Apron front sink. Manufactured from Blanco's patented SILGRANIT, a natural granite composite material, it's low maintenance... and stunning. top made of Vadara Calacatta Blanco. And that's a Brizo Artesso faucet in polished nickel; they make a fabulous pair, especially when in contrast with this fantastic custom cabinetry. 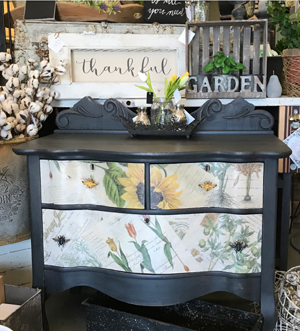 The Dresser was painted with Chalk Paint® in Graphite with Black Soft Wax(Annie Sloan). Vintage papers we sell were Decoupaged then a Cracqueleur (crackle medium) was used to produce a fine porcelain cracking. All these products are by Annie Sloan.Want professional-looking results? Learn how to get the most out of this amazing product by attending workshops at Refined Vintage Boutique. IloveDIY: The workshops at Refined Vintage Boutique have empowered me to refinish my kitchen cabinets, make garage-sale finds look like they were purchased at a fancy boutique and wow my friends and family with handmade gifts I'm proud of. I have so much fun there!